I'm looking for Case for my old mandolin banjo. The inside dimensions are 12” x 25”. 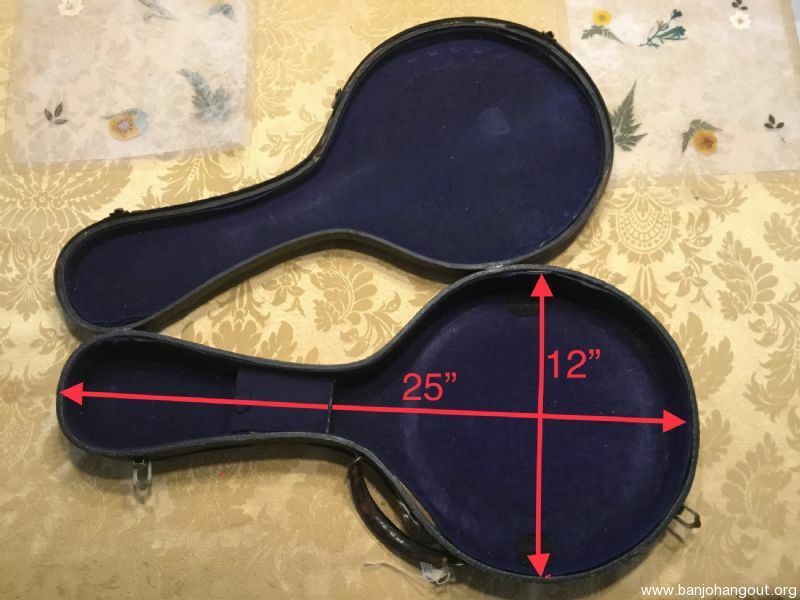 These cases are often left over after converting a mandolin banjo into a five string banjo. Please reply with condition and price. All leads are greatly appreciated! This ad will automatically expire 6/23/2019 2:26:37 PM unless updated before that date. To keep the system current, ads expire if not updated for more than 60 days.